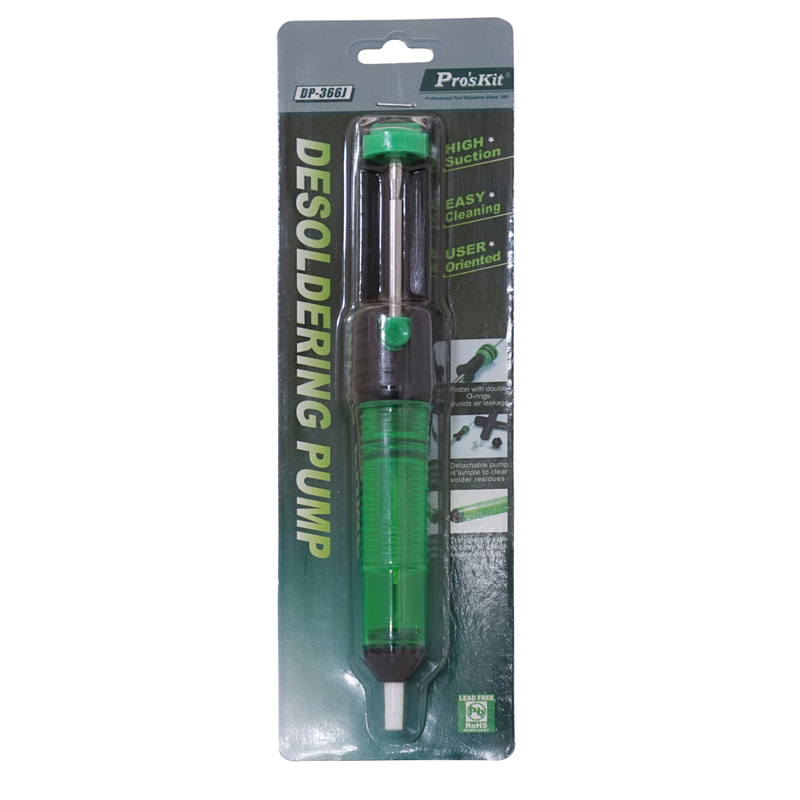 The Desoldering Pump comes with high vacuum force especially made for clearing circuit boards in the process of rework or repair. Piston with double O-rings avoids the air leakage and maximizes suction power. 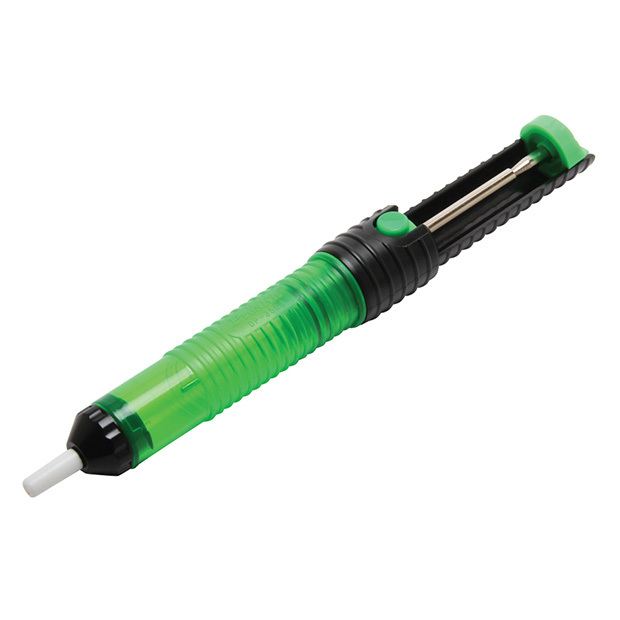 Suction Capability: 32cm-Hg, quick and easy to clean solder residues. 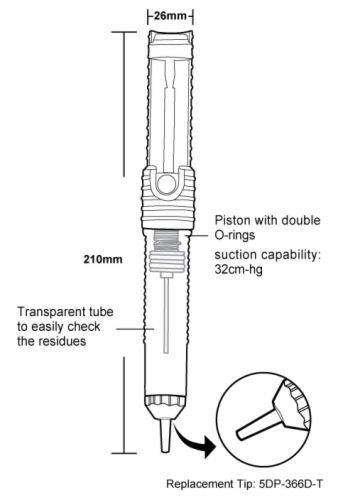 Transparent tube is easy to check the volume of solder residues. 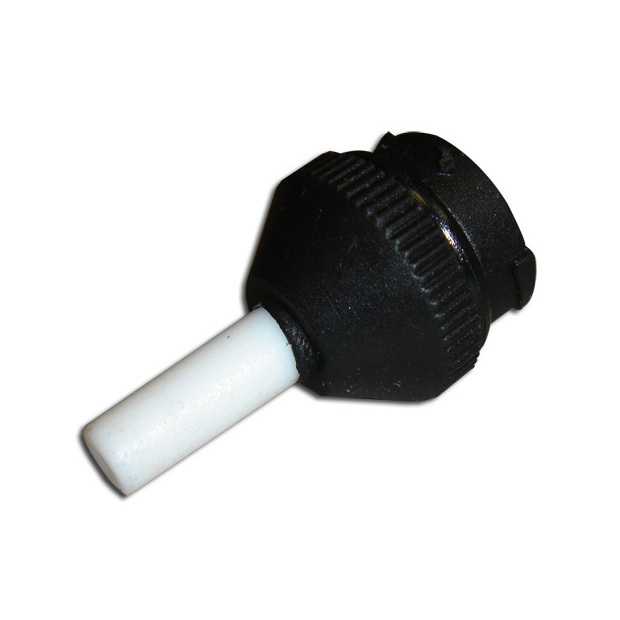 Replacement tip with heat-resistant Teflon. Nonslip handle design to hold the pump tightly. Compact size for one hand operation. Ideal desoldering tool to rework or repair circuit boards.